September 11, 2018 19 Comments This post may contain affiliate links. There are a million reasons to enjoy the fall season, but two of my favorites are fall decorating and fall home tours. 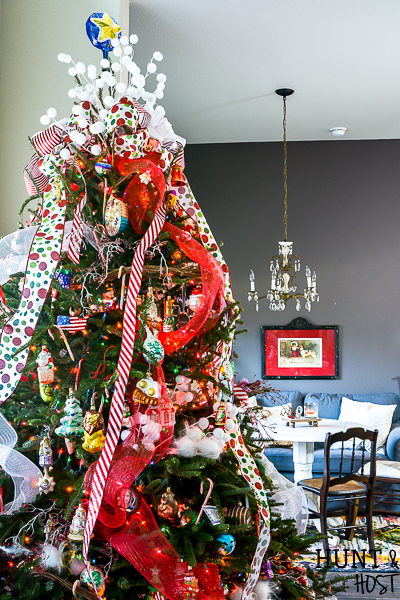 I think it’s because I find it easier to decorate with a theme or goal in mind and the holidays are ripe with potential. 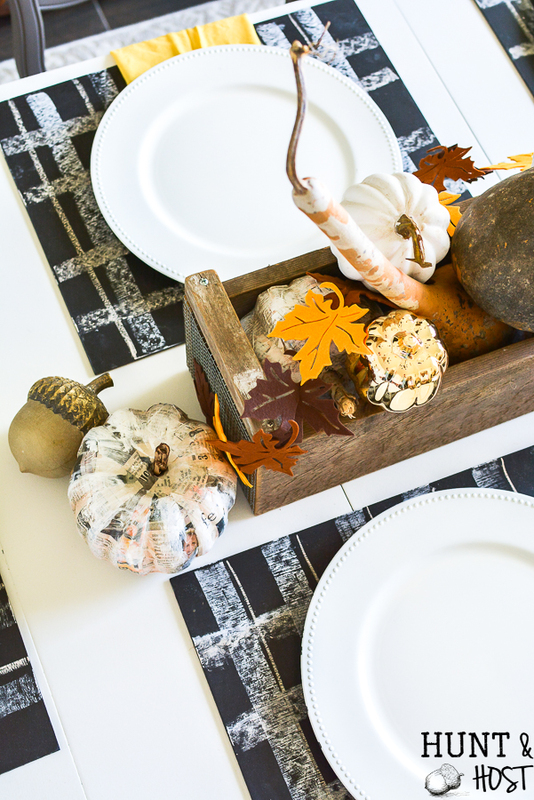 Today I am bringing you a simple fall table setting made extra trendy with the addition of buffalo check. 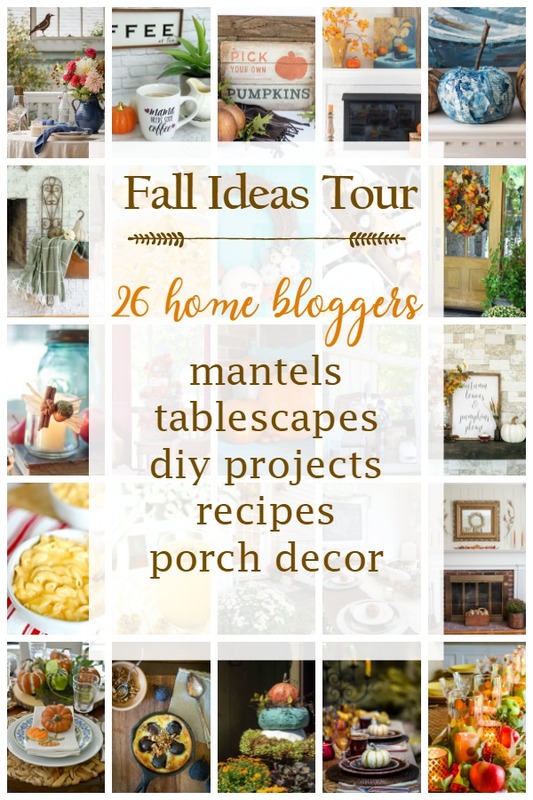 AND I have some fall home tours to share! 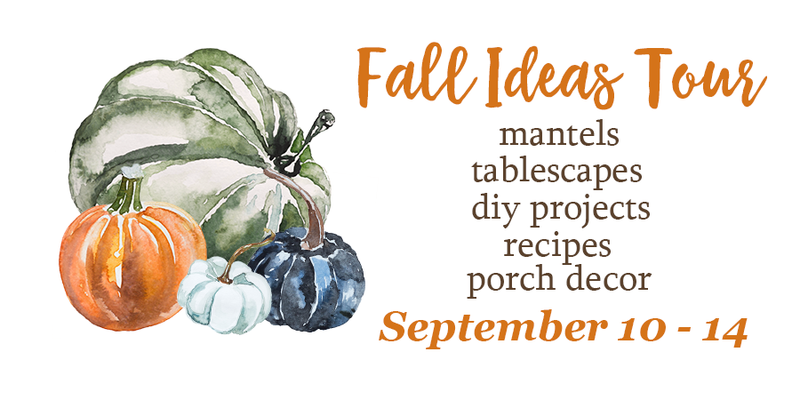 All week my friends are rolling out new inspiration: Mantels, tables, DIY crafts, free printables and porch decor. 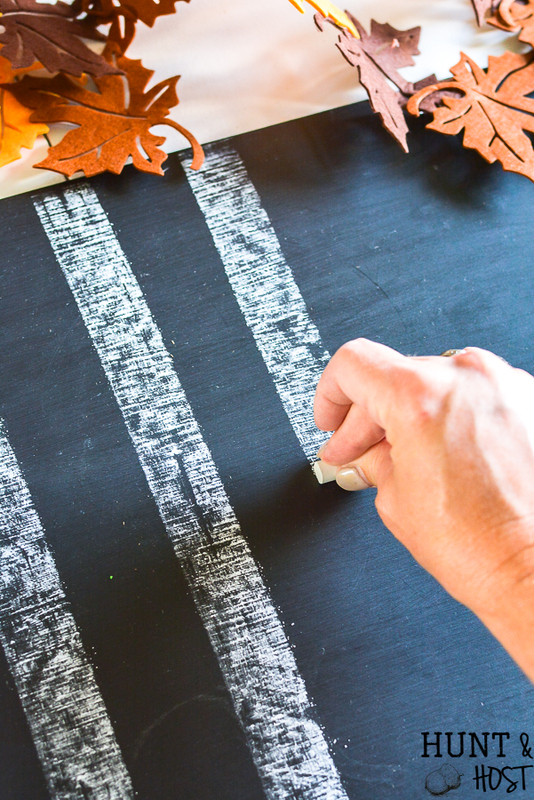 For our simple fall table, I used the chalkboard placemats I made a while back (click the link for the tutorial on how to make your own!). These placemats are the best because you can dress them up for the latest trend and wipe them clean for the next one that rolls around! I used white and light orange chalk to decorate them in a buffalo check type pattern. Just break fresh chalk into the width you want your tripes and rub the side on the chalkboard for fat stripes! Since we eat at the dinner table almost every night I leave chargers out so the table always looks set and we just take our plates on and off the table for each meal. These chargers were from the dollar store! I am loving the pops of gold and metallics I’m seeing everywhere this year for fall and decided to use my cheery gold napkins. I dragged out all the pumpkins, acorns and gourds I’ve made and collected over the years for the most simple centerpiece! What colors are you feeling for fall? I love to hear what everyone else is doing! Like I said, it’s one of my favorite things about the fall season. Please be sure to gather some extra inspiration from my talented friends below before you go! Love the chalkboard placemats with the buffalo check. Such a cool idea, Kim! Kim – You always share the best ideas! Loves those cute placemats! And we envy your DIY centerpiece! Oh, so pretty and warm Kim. 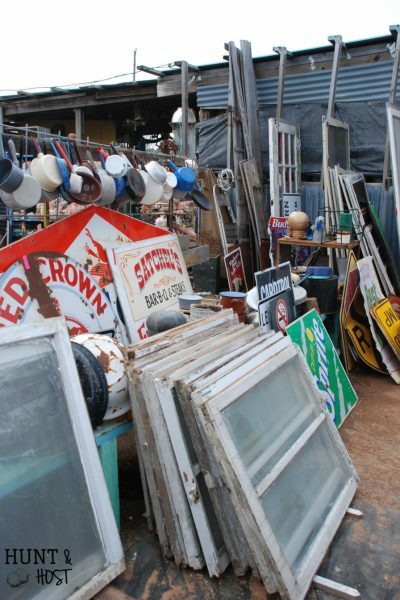 I love the way you have used project from the past and combined them with new ones. That buffalo check chalkboard placemat idea is so fun. Love it. Your table is so charming. 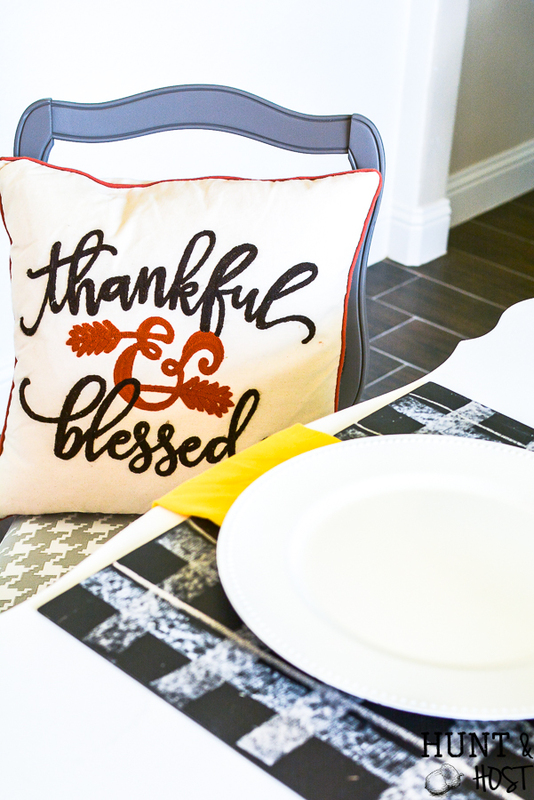 I love the warm colors and those placemats are genius! Thanks for the great ideas and for joining the tour again! 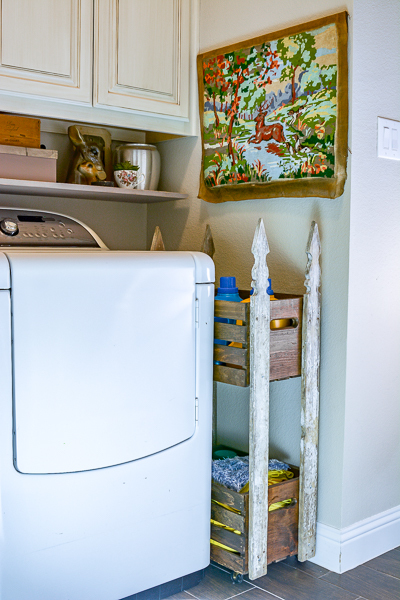 And your hutch looks like it was made for that spot! Your table looks so pretty! 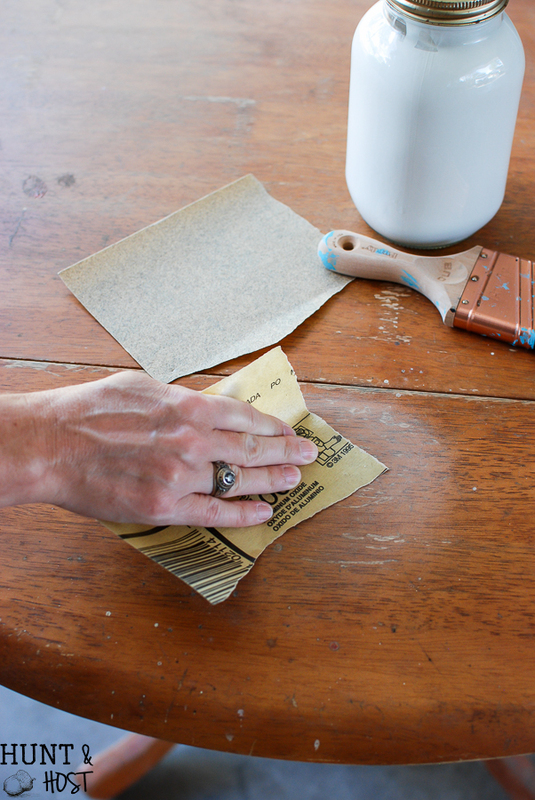 I had forgotten about your chalkboard placemats and was happy to be reminded of this cute project. 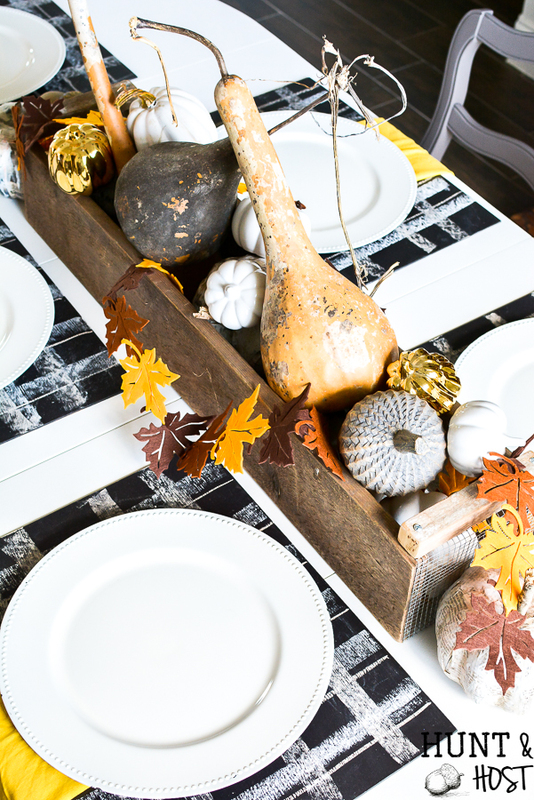 I love how you made the buffalo check pattern on them for your fall table. Your centerpiece looks so pretty! I hope you have a nice meal with your family at this beautifully decorated table. LOVE the buffalo plaid chalkboard placemets! Did you need to seal them to ensure that they would not smudge? The whole tablescape was so unique. Kim, your buffalo check chalkboards are so clever!! Can’t get over their cuteness. 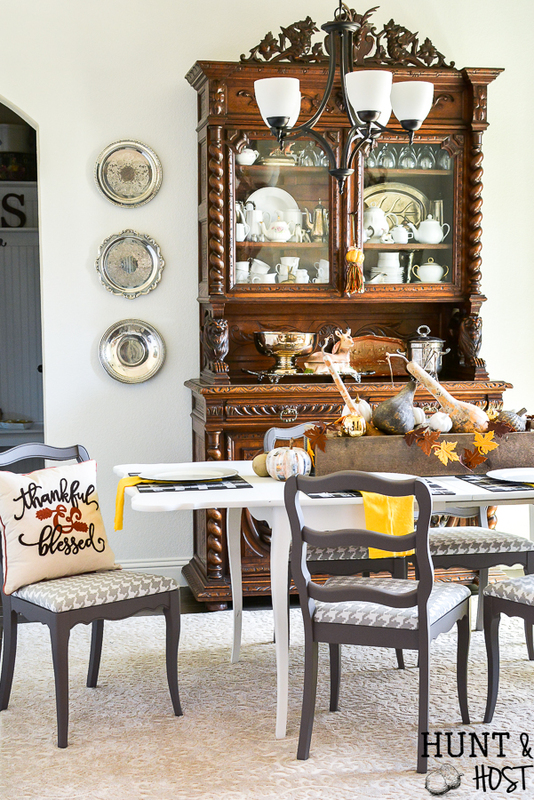 The entire space is just lovely all around…love your sweet fall touches everywhere. You know, in all my 65 years I have never decorated for the seasons only Halloween and Christmas. But, now that I have subscribed to all these crafting and diy sites I am trying my hand at it. So far this year all I’ve done collect and arrange dead twigs in a lantern jar by my fireplace. So I still have a long way to go. 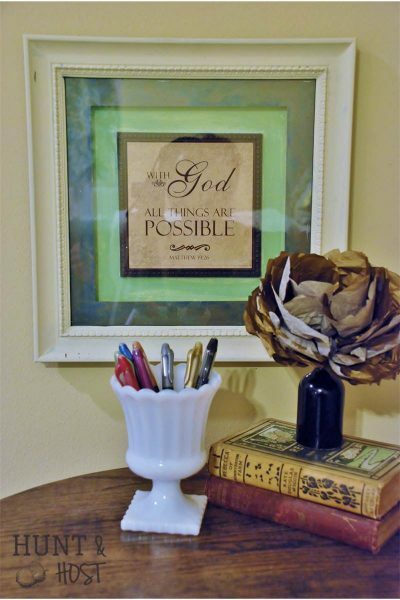 I am loving the idea of this change in my life and trying my hand at decorating. If I can figure out how to send you a picture, I will. So, so pretty … and I’m absolutely in love with the plaid chalkboard placemats! Great idea, love those chalkboards! Ok that chalkboard placemat is just ADORABLE turned buffalo check… BRILLIANT!!! Kim, your Fall table is so pretty! I love the idea of leaving chargers on the table all the time! 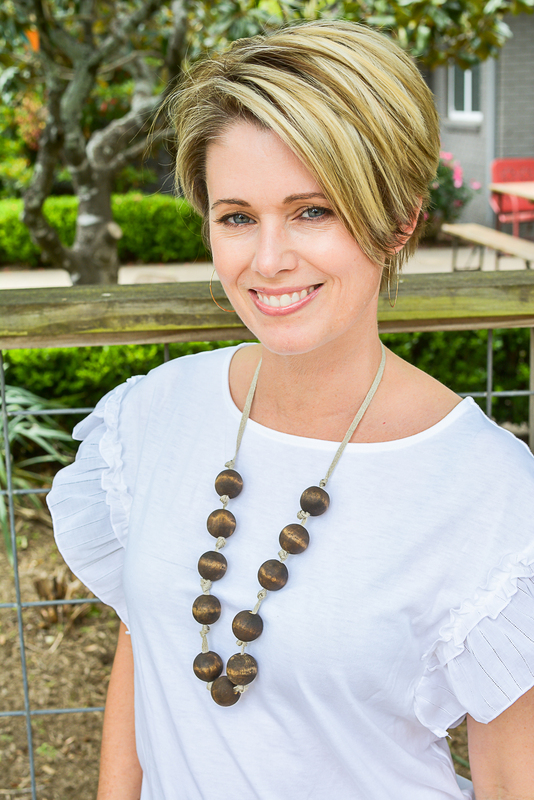 Hey Kim…LOVE those buffalo plaid placemats! So very clever. And also may just copy your idea of keeping the table set with the chargers on the table! Brilliant! So happy you shared that idea. Thanks for all the great ideas my friend. Oh my goodness, everything looks so pretty, and I love those “chalkboards”. You’re so smart! What a sweet idea!! And, if you wanted to keep these as is forever you could spray them with a protective finish too! LOVE this! yes – that would be a great idea!! !